Consent to Blood Draw Issues - Crooks, Low & Connell, S.C.
As most people know, the results of a blood draw can make a significant difference in the charges you face at a traffic stop. It’s for this reason that giving consent to the blood draw in the first place can be so important. It is your right as a citizen to either give consent or deny consent, but there are situations where this can get complicated. For example, in the case of State v. Brar, the conflict surrounded whether a non-native English speaker, with a thick accent, can give consent to a blood draw in a situation where he is unintelligible to the officer, and attempting to obtain information about his rights. It’s clear that the officer in State v. Brar had trouble understanding Navdeep S. Brar. This is evident in the video of the officer’s interaction with Brar, and also in the court reporter’s transcription of that footage. The court reporter heard Brar differently from how the officer claims to have heard him. The officer claims to have asked Brar for consent to draw blood, and when Brar replied by asking for legal advice, the officer responded, “Will you submit to the test – yes or no please?” Brar allegedly responded, “Of course, I don’t want my license…” but though the rest of the response was unintelligible to the officer, the officer took Brar’s “of course” for consent. Many people believed that Brar was actually referring to something other than consent to the test. When a citizen contests a search, it’s up to the State to prove that he or she provided consent. The evidence must be clear that the consent was “free, intelligent, unequivocal, and specific,” given “without any duress or coercion, actual or implied.” The court will examine all of the circumstances that led to the search, including the suspect’s characteristics. When there is a language barrier between the suspect and the officer, the State’s burden is heavier. However, Brar lost his case and the court of appeals found that his unintelligible response constituted consent. Situations like this happen to ordinary citizens every day. Unfortunately, many believe they have no choice but to accept the charges and the consequences, even if they believe there has been an error or misunderstanding. An experienced DUI attorney at Crooks, Low & Connell, S.C., may be able to help you defend yourself against the charge, get lesser penalties, or get the charges dismissed altogether. 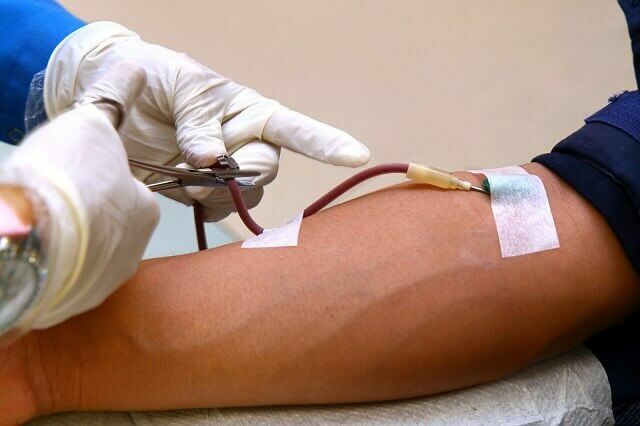 If you have questions or concerns about consenting to a blood draw or a DUI charge in Wisconsin, our lawyers can help you navigate the process for the best possible outcome. To schedule a consultation with one of our attorneys, call our offices in Wausau, WI at (715) 842-2291 or complete our online contact form today.